It’s no secret insurance companies and governments make disability benefits as difficult to receive as humanly possible. Not only do they bury you in complicated paperwork, but they also drag out the process for months or even years. And since 44% of Americans recently said they couldn’t cover an unexpected $400-dollar emergency expense, it’s often devastating for disabled people to go without any income for extended periods of time. Sadly, stories of disabled people going hungry and becoming homeless are all too common. I found myself in a similar situation not too long ago. After years of suffering from increasing vertigo attacks due to Meniere’s disease, I finally reached the point where I couldn’t work any longer. I applied for disability, armed with dozens of doctor’s reports, vestibular rehabilitation notes, and the support of numerous medical professionals. I was immediately denied. I found myself with a newborn son, a wife on maternity leave, and absolutely no way to support my family. And the appeal process could potentially take years before I saw a single penny. Thankfully, there were options, and below, I’ve listed some of the best ways to survive while you’re waiting for disability benefits to be approved. Probably the easiest way to survive the wait for disability benefits is to reduce your current expenses. I know it can be difficult -especially since most disabled people already live frugal lives – but if you’re potentially looking at months without any income, you may need to do some extreme things to stay afloat. Move – For the average person, rent payments and mortgages are their largest monthly expense. And while it can be difficult and emotional to give up your home and move, it’s one way to stretch your money until you receive disability benefits. The first option is to downgrade your housing. While you don’t have to move to the middle of nowhere to find savings, most people can reduce their housing costs by moving further out to the suburbs or to a small town. But before you move, make sure any medical services you require are provided in the new area. The second option is to sell your home. The sale of a house or condo can provide a windfall that should allow you to easily coast to your disability appeal date. And it’s much better to sell your house immediately before you inevitably get behind on the mortgage payments – an all too common occurrence for people waiting to qualify for disability benefits. Cut Out All but the Essentials – If you’re going to survive with no income, then you need to cut your spending to the bone. Everything – and I mean everything – non-essential must go. No more cable TV, no more expensive cellphone plans. No new clothing. No splurging at the grocery store and be prepared to become one of those annoying couponers who hold up the line. The goal is to get your monthly spending down to the basics and nothing more. 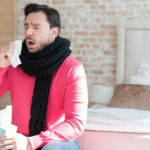 Cut Down on Medical Expenses – Surprisingly, it’s relatively easy for most people to cut down on their medical expenses. Talk to your doctor if you’re struggling to pay for drugs or medical equipment. For example, my doctor was able to provide free samples of my medication while I was appealing my disability benefits denial. And while it only saved me a few hundred dollars a month, it helped immensely. Also, many areas offer free or low-cost medical treatment programs. Check out your local free clinics (if you’re in the United States), community mental health centers, and charities. And some local hospitals run charities and financial aid programs to help those in need. If you find yourself without any income, it’s a good time to take stock of your existing assets. If you’re going to survive with no income, then you need to use everything at your disposal to stay solvent. Retirement Savings – I know many people hate the idea of cashing in their retirement savings, and yes, you’re probably going to take a hit for early withdrawal, but you’re going to need this money to pay the bills. Some plans allow for hardship early withdrawals, so talk to your plan provider prior to withdrawing any money. 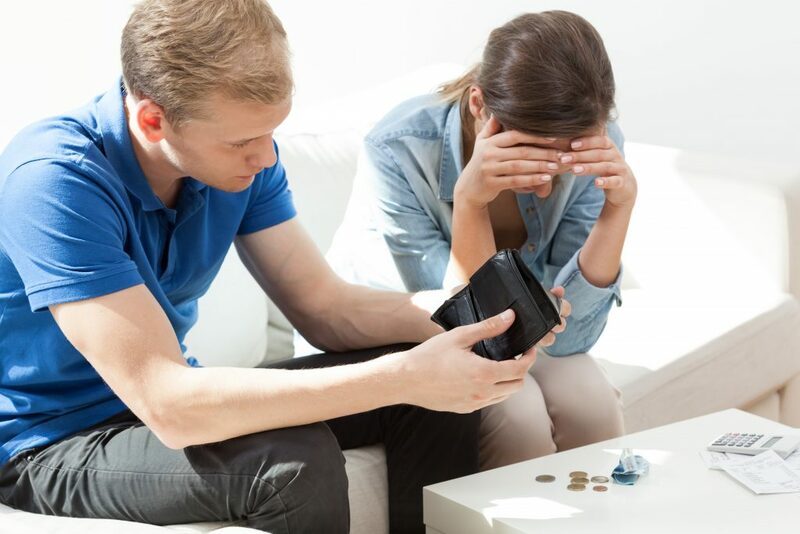 Loans/HELOC/Credit Cards – While the ethics of taking out loans and credit cards you may have trouble paying back are questionable, more than a few people have made it through lean times using credit. And remember, once you get your disability payment, you’ll get a huge back payment that can be used to pay down any debt accrued. Ideally, you’ll want to use a HELOC to cover your expenses. But it may not be an option for everyone, and if the bank realizes you have no income, there is the risk it may be called in. Still, it usually offers the lowest interest rate and is one of the best ways to cover your expenses during the long wait for disability benefits. Sell Your Belongings– Nearly everyone has extra stuff lying around their place, and if you’re waiting for disability benefits, then there’s no time like the present to start selling your stuff. Not only will it clear up clutter, but the proceeds of the sales will help to keep the bills paid. And there’s no limit to how much you can sell. I know some people whose houses were almost bare by the time they were finally approved for disability. While you are waiting for your disability benefits appeal, there are other programs you can apply to for assistance. And since it may be a long time until you see any income, you should apply to every program available. Utilities – Many governments and some utility companies provide aid to help pay energy bills for low-income people. While these programs are usually far from generous – and often have onerous qualification standards – it’s still worth looking into. Every little bit helps. Food stamps/Food Banks – While most bill payments can be delayed, there’s no getting around the need for food. In the United States, it’s relatively easy to get food stamps (SNAP food benefits), but these benefits aren’t offered in other countries. In places such as Canada and Europe, foodbanks remain the main source of food for low-income individuals and families. Charities/Places of Worship – There are local charities and places of worship to help people in your situation. They often provide clothing, food, and sometimes even help with bills. In my area, churches are instrumental in helping low-income people pay their soaring utility bills. But to find out which ones are willing to help, you’ll need to call around and be proactive. Apply for Housing – Many low-income individuals – who haven’t qualified for disability – can still apply for subsidized housing. While the waiting list is often ridiculous (there are over 100,000 people on the waiting list in my area), it’s still worth pursuing. Some governments offer help with rent or help certain groups pay their mortgages (seniors, recent immigrants, etc.). 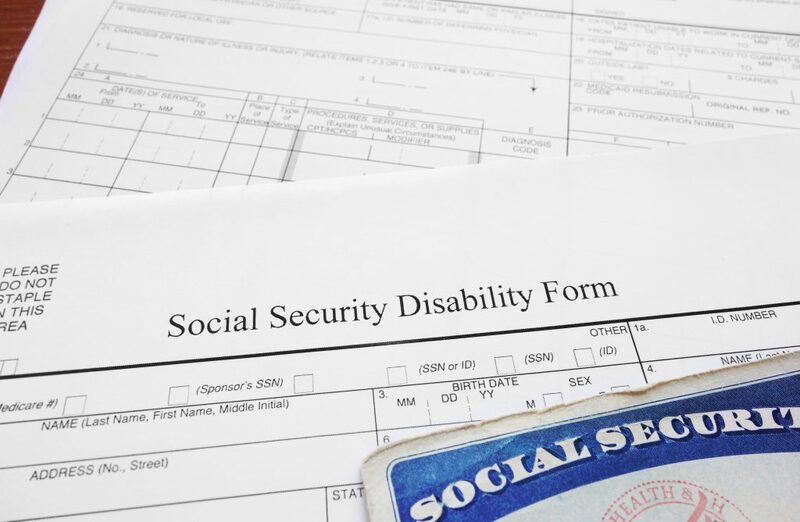 While the rest of this list will help you to survive until you receive your disability benefits, the best solution is to get approved as quickly as possible. And while there’s not much you can do to move things along, there are still a few things you can do to influence the process. Provide Everything Needed – If you’re asked for documents, doctors notes, or test results, provide them immediately. Any hold up on your part can be used to justify postponing approval – and the process is long enough as it is. And occasionally, if you provide everything required, it may be possible to move up the proceedings, which means you’ll get benefits that much sooner. Make Noise – The expression ‘the squeaky wheel gets the grease’ exists for a reason. More than a few people have received disability by shouting about their situation to anyone who would listen. Get local government officials involved in your case. Publish your accounts online. Embarrass them with tales about how you’re facing homelessness because they’ve been dragging their feet for years. Numerous people have used this method to get their cases moved up and approved. It’s not pretty, but it works. 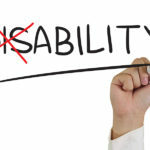 Dire Circumstances– If things are becoming truly dire, then many governments allow for disability benefit appeals to be moved up. In the United States, it’s done through a Dire Need Letter to move up the court date. A few potential reasons for moving up the appeal date are: mental health issues, looming homelessness, or the inability to afford medical treatment. If there’s one piece of advice I can give you, it’s don’t give up. It can take up to three years to receive benefits, but it’s important to remember most people are successful in the end. It’s my honest belief they make the process so grueling to make people lose hope and give up. But if you do whatever it takes, in the end, you should receive the disability benefits you deserve. Your situation sounds very similar to mine. I have been coping with Meniere’s since 2004, and I’ve had three major bouts with it, each of which has disabled me for several years and functionally destroyed my life each time. My overall condition has worsened until I cannot work any longer except under similar circumstances to what you describe, intermittently. I had disability benefits through private insurance for about 2 years, mostly on a mental health basis, but that lasts only 2 years maximum and was cut off in August 2017. I have an attorney working to help restore the benefits but one appeal has already been denied, the next appeal is due in a few weeks. Collecting evidence has been difficult too. Is there anything as far as evidence that helped you get approval: VNGs, hearing tests, rotational tests? Was there anything that provided a breakthrough? I wish I could help you, but I ran into a wall at the two year marker as well. It seems unless you’ve gone completely deaf, they still consider you fit for you work. I had seen just about every specialist known to mankind when I applied for permanent disability, but I was still rejected. You seem to be doing everything right though. If I can stress one thing to you (it’s the thing that got me) is to say firmly state how you receive no respite and that the disease never lets up. What I believe now – and you should confirm this with your attorney – is that it needs to leave you completely disabled. Sorry I can’t give you more help, but the disability system is pretty terrible. drew the next week). The young court stenographer was crying and shaking. I got a denial and couldn’t understand why until I had my next doctor’s appointment. He told me about his negative relationship with the ALJ and then it all made sense. I wrote my own Brief and The Appeals Council vacated the ALJ’s decision and sent my case back to her! I have been denied audio CDs and transcripts. After her second denial, I had to hire an attorney and my case is in the US District Court and it could be up to another year before the District Judge reads the attorney’s Brief. I had initially tried to file for Disability but was incorrectly told to call back in a year which I did–May, 2012. Believe me, I have cut back to next to nothing during this long wait. I put my house on the market two years ago. I went through 3 agents; first one said she didn’t need to do anything, second team neglected to tell me they had all been fired 2 months prior, and the third one—he wanted me to change the entire interior of my lovely home to his taste and got nasty when I refused to do it. I asked him if he was going to pay for all the unneeded changes. I have had some success in selling a number of items on eBay and I held my first ever garage sale last summer. I have two credit cards with high balances on them but I have never missed a payment on anything in 47 years. I applied for two of those zero interest and zero balance transfer credit cards as my payments are mostly interest. I got denied only because my credit debt is too high. Isn’t that the point of getting one of those cards? Stop paying the interest and get that principal down. You would think a history of always making payments on time for almost half a century would account for something! When I get approved for Disability, I am going to talk to someone close to our President that I have met before. There was an Executive Order signed last May that makes it possible to fire corrupt, incompetent, or dishonest Federal employees. I am pretty sure that turning down the volume in a court room so there is no audio CD is pretty dishonest. Denying me my right to testify in Court would make a few of our Founding Fathers roll over in their graves. So the only thing that I have not done that you suggested was to try to get help from our local churches. One interesting point about the ALJs is that in my area of our state there are 15. Fourteen hear between 50 and 56 cases a month. The judge that I was assigned to hears 20! And the truly sad part of it all that these judge’s make over $200,000.00 per year! It’s terrible all the roadblocks they can throw in front of you when you’re disabled. Something has to change so people with disabilities are properly looked after and people don’t have to to go through all the difficulties you’re facing. Disclosure: Surviving Disability receives compensation from the companies whose links we post. Surviving Disability is independently owned and the opinions expressed here are our own.